Review this guide for a quick-reference on how to print 1095 forms in batches. 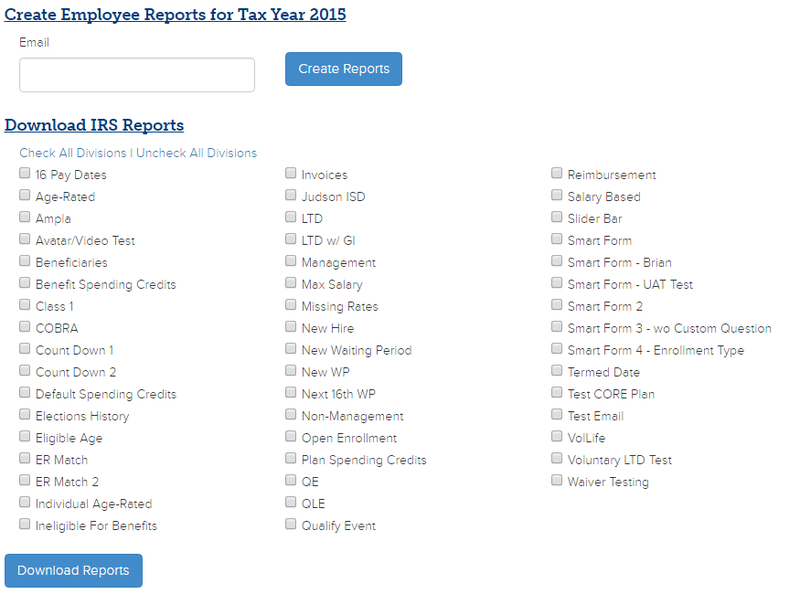 Under Forms & Reports tab, select Employee IRS Report List. The broker and group will need to review the forms before printing. 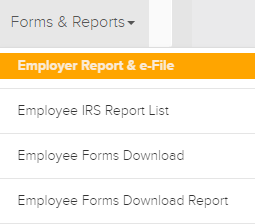 Click the Report button to view a single employee’s Report or the Edit if changes need to be made. Once they have reviewed their reports and feel comfortable with them, click Forms & Reporting, select Employee Forms Download. Enter your email address, check all divisions, and click Create Reports. Check all Divisions necessary, click Download Reports. Depending on your browser, the files will download to your browser. Click the folder and Extract All the files. 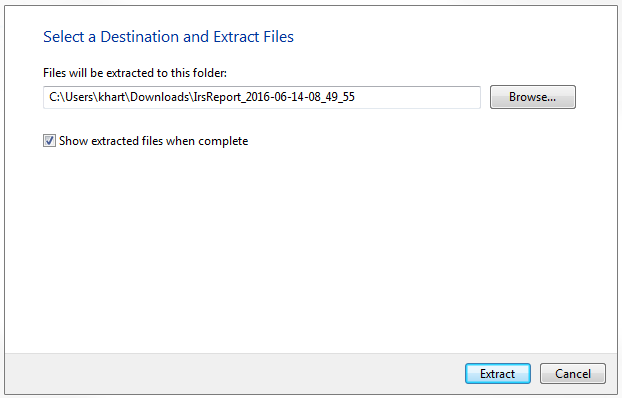 You will be asked to choose your destination folder, click Extract. Go to destination folder that was just saved, Select All forms and right click. 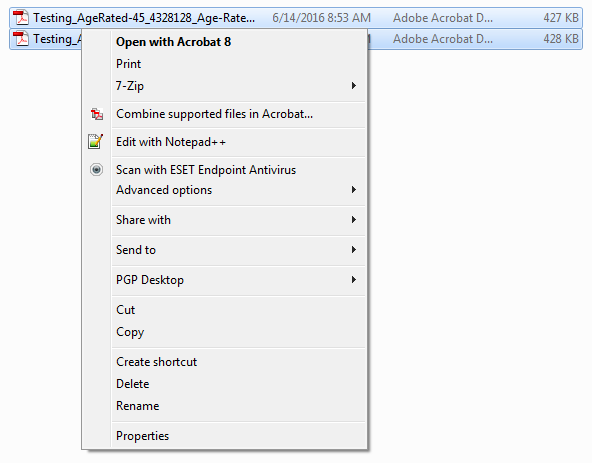 Select Combine files in Acrobat.